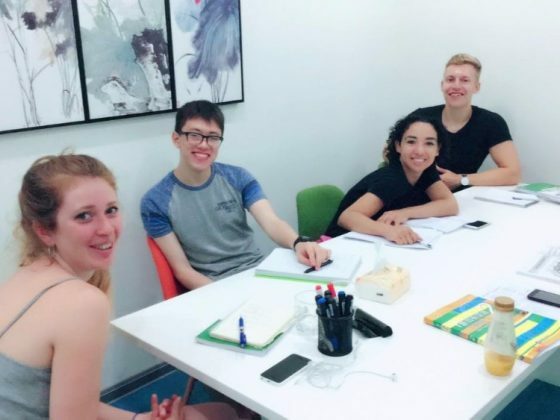 Study Chinese in a small group, at a time that’s convenient for you. LTL Mandarin School offers morning, evening and weekend small group Chinese classes for part time students. 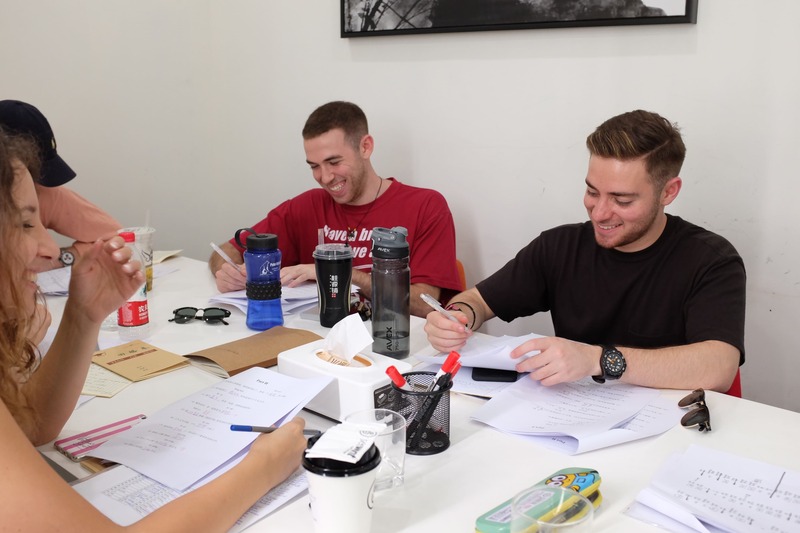 As with all our courses, you are guaranteed a fully-certified teacher, an interactive curriculum and a focus on making sure you enjoy your time learning Chinese. LTL students also get free access to study advice from our Student Advisors, the LTL Online Chinese Kit, weekly social and cultural activities and HSK registration support. If you’re looking for something more intensive, you may be interested in our full time Chinese courses or the unique LTL Immersion Program. How about Full Time Chinese Classes? 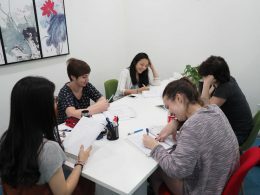 Classes are taught at the LTL Shanghai campus next to Yongkang Lu and 300 meters from Shanxi South St. Subway station (lines 1, 10 and 12). The average class size is three students and we guarantee there will never be more than six students per class. 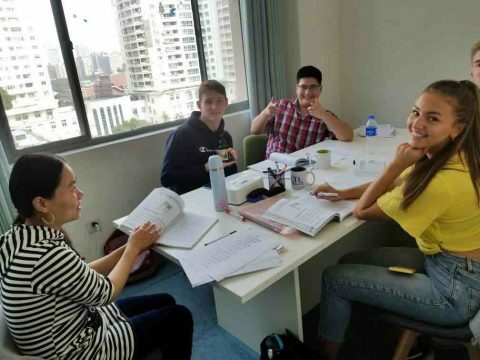 Before you start your program we will do a free assessment of your current Mandarin level, either at our school in downtown Shanghai or via WeChat/Skype. If you are already in China, you can book your course today and start your course as soon as tomorrow. It is possible to sign up for a class at any time, subject to availability. Contact us now to book your place, or organise a free language assessment to determine which class would be most suitable for you. A 200 CNY deposit is required to reserve your place in a group, which students can pay either in person at our Shanghai school, or via WeChat Pay/Alipay. The remaining payment is only due on the first day of class. For alternative durations and prices in other currencies, please contact us. All the teachers were really good and I enjoyed the classes a lot. The classes are small and convenient. I'd recommend these type of classes to anyone who wants to improve. Thanks LTL! I found LTL on the internet and was convinced to study here after seeing all the positive reviews. I'm really happy with the progress i made and with the level of my Chinese. Thank you LTL! When I came to Shanghai I already had some Chinese language skills. I wanted to improve the basics that I had to more advanced level. There were two other students in my group. I’ve joined small group classes and had few different teachers. All the teachers were really good and I enjoyed the classes a lot. Overall I had four teachers and each of them had unique teaching method. I didn’t have a favorite teacher since all of them were very attentive and friendly. Each lesson I had a lot of questions to ask and my teachers always were so nice and tried to answer all of my questions and tried to make sure I understood everything. I really appreciate it all and I would like to thank them for all the effort they put in to help me improve. I would recommend this type of classes to anyone who wants to improve their Chinese language skills. The classes are small and convenient. Thanks LTL and the staff for a great experience. 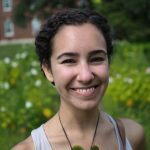 I found LTL on the internet and was convinced to study here after seeing all the positive reviews. I’ve studied Mandarin for almost 10 years before, but a few years passed since I studied Chinese in Shanghai. 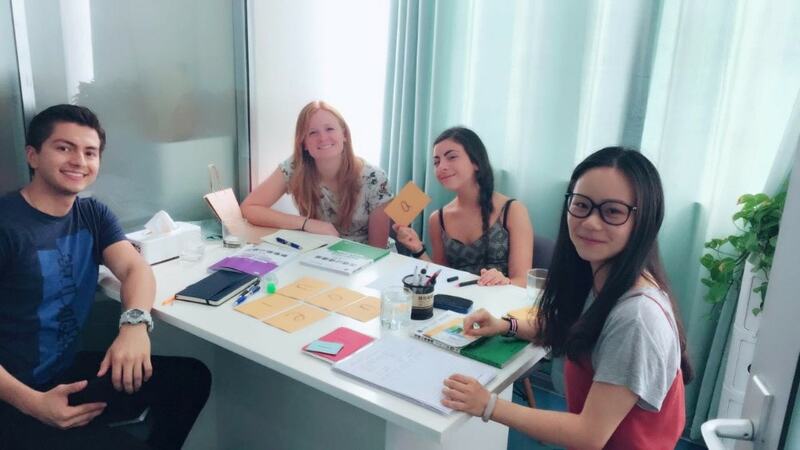 LTL teachers helped me to refresh my Chinese language skills and i managed to progress rapidly. I’m really happy with the progress i made and with the level of my Chinese. The school fosters a very collaborative learning environment and offers many opportunities for you to get to know your peers. Thank you LTL! When I came to Shanghai I already had some Chinese language skills. I wanted to improve the basics that I already had to more advanced level. 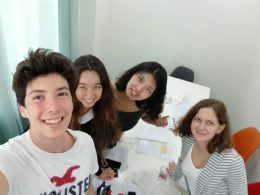 There are a lot of different language schools in Shanghai and it was hard to choose but in the end I decided to study with LTL because of their small group classes. There were two other students in my group which helped in my studies, because teachers could pay attention to each one of us. We practiced everything, the speaking and writing with Pinyin and Hanzi. Hanzi was a bit difficult for me. I improved my Chinese so far, that I was able to get around in Shanghai very well. On average an LTL group class has three students per teacher, and guaranteed never more than six. Is it ok to cancel a class? If you cannot make it to class that is OK. Just let your teacher know and you will be told which materials were covered, so that if you have time, you can go through them yourself before the next class. Why do group levels only work well up to intermediate Chinese? At the beginning students tend to all be at a similar level in all aspects of the language, i.e. speaking, listening, reading and writing. The more advanced students are, the bigger the differences get. Someone who lived in Shanghai for many years and can express themselves very efficiently might know almost no characters at all. 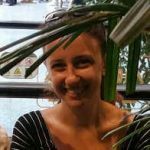 Another student who studied at university abroad might know hundreds of characters, but has almost no experience in speaking Chinese at all. 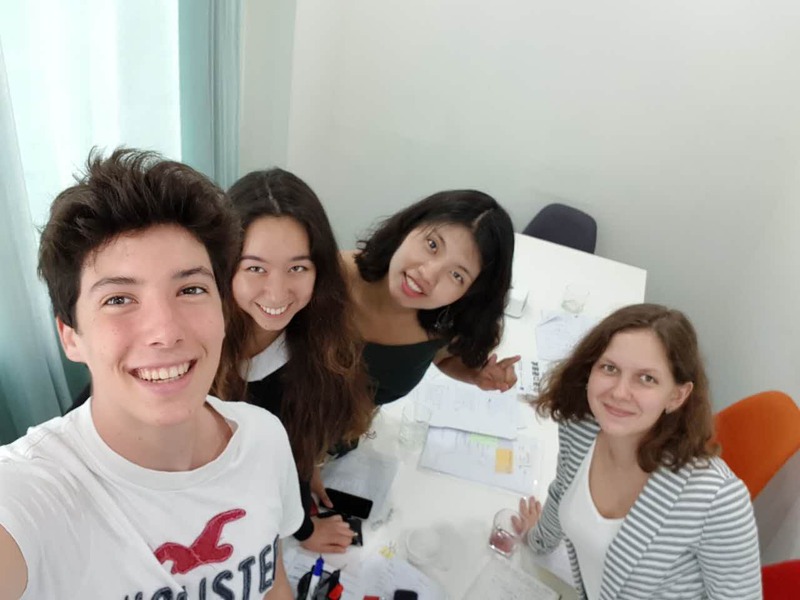 Then there are students with Japanese language backgrounds who know almost 2000 Chinese characters without ever having studied Mandarin – because those characters are used in Japanese too! 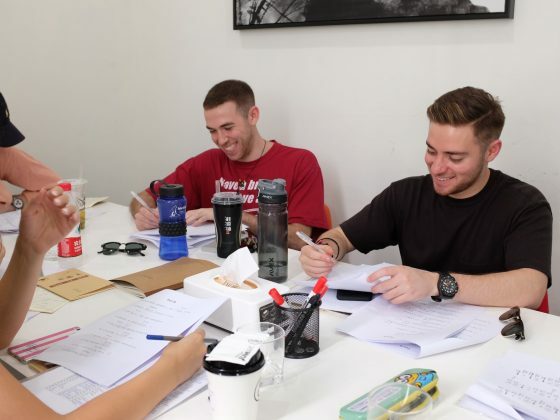 So even with the small group sizes at LTL, an advanced group class is almost always either too difficult or too easy for some of the students. 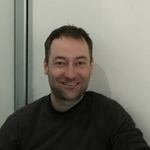 Before you start your classes, our Director of Studies will do an informal assessment with you – either in person or via Skype/Phone/WeChat. Based on this assessment you will be assigned to the most suitable group. Will I study both spoken Mandarin and Chinese characters? 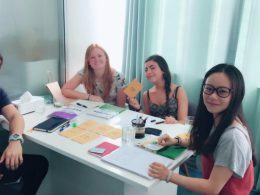 While the focus of LTL group classes is on quick progress in spoken Chinese, characters are used and taught throughout the course. The main aim is reading and character recognition rather than writing, because hand writing is not really needed in modern day China. 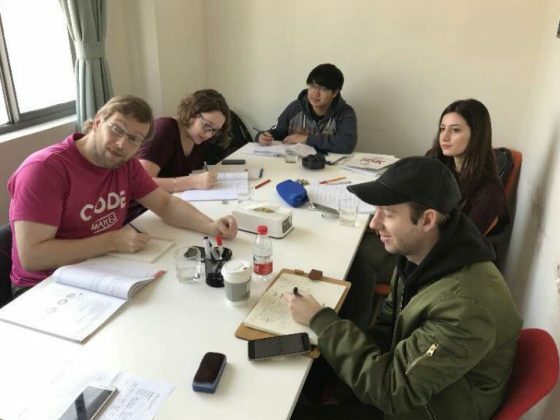 If you want to only study spoken Chinese, you might want to have a look at the Spoken Chinese Only Program; if, however, you want to work on your characters then a better option would be to take individual Chinese classes. If you have the time to commit to full time Chinese classes in Shanghai, great! 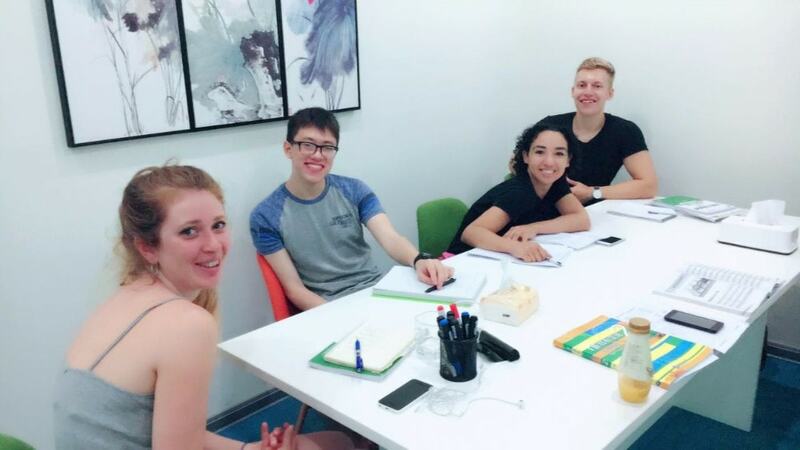 We offer small group Chinese classes or 1-on-1 Mandarin lessons, depending on your preference. Not in these lessons but we do offer a separate Shanghainese course which you are welcome to take with us. If you have any questions do let me know. 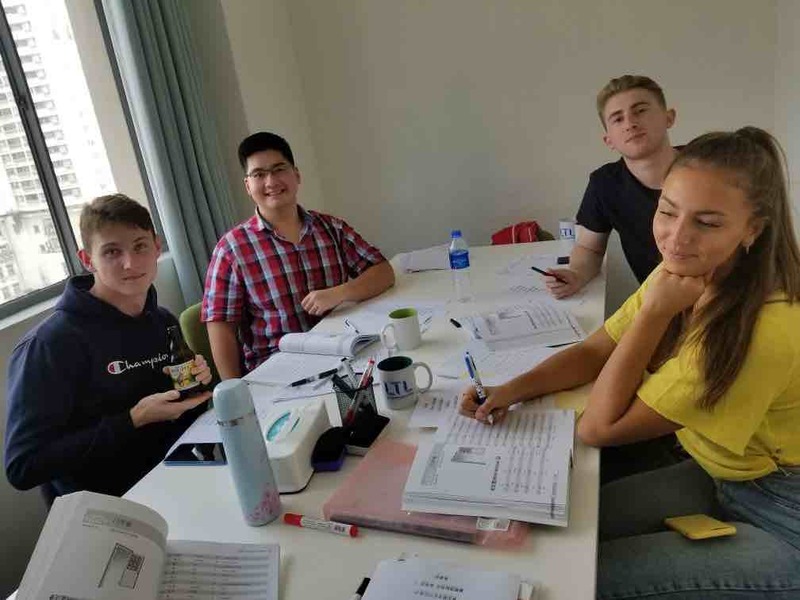 Spoken Only Chinese Course concentrates purely on speaking and listening skills and not on learning to read and write Chinese characters.